The Elite Player Performance Plan (EPPP) was implemented after consultations with The FA and representatives of the Football League, the Premier League and its clubs, and other stakeholders to ensure that professional football in England will have a world leading academy system that provides a greater number of excellent homegrown players and increased efficiency of youth development investment. We strongly advise you to be aware of all changes set out in the EPPP but if you want to read on topics specifically related to football scouting, please refer to the below pages from the EPPP which can also be found on pages 75-79. All clubs recognise the importance of establishing a thorough recruitment network. Successful talent identification and recruitment of players of all ages isvital to the future prosperity of all clubs. This is a vital aspect of the Academy function in the club. This provision extends throughout the operation of the club; from young players aged 5 years playing in the Development Centres, through to senior first teamprofessionals. The current Rules and Regulations require clubs to register those employed by the club as Scouts. This requirement has been driven largely by the statutory requirements aroundchild safeguarding. Talent identification is a fundamental concern for any youth development system. The Academy Manager, their coaches and support staff have clearly defined roles and responsibilities within the Rules and Regulations. However, the role of a recruiter has not been defined previously, yet their experience and contribution iscritical to the effective running of the Academy and the wider club. There are currently no requirements to provide CPD for this category of staff. Similarly, there are no formal qualifications other than a stand-alone, attendance-based „talent identification‟ course provided by The FA which is required to operate as a „scout‟. The education of recruitment staff currently happens „on the job‟, via peer relationships and through learned experience. Some innovative Academies have identified this problem and have attempted to improve the situation by staging their own in-service, education programmes. The staffing models identified in Section 12 illustrate the steering influences of both the Head of Sports Science and Medicine and the Head of Coaching on the role of the Head of Recruitment for the Academy. In developing the model staff structure it is assumed that, where a club employs a senior member of staff to lead recruitment across the club, the Head of Recruitment would report to this post holder. The recruiter‟s role in the Academy would be to work within the multidisciplinary team and where appropriate draw upon the various strengths within the team when making player assessments. All clubs need to recruit effectively to prosper. Conversely, all clubs need to retain their best talent if they are to create a performance legacy for the benefit of the club. These conflicting requirements ensure that the Academy System is often stymied by fear of the „predator club‟ The fact that all clubs are at some stage perceived as „predators‟ and at some stage „under threat‟ is the reality of professional football. Some clubs have become increasingly reluctant to permit rival clubs from scouting games. 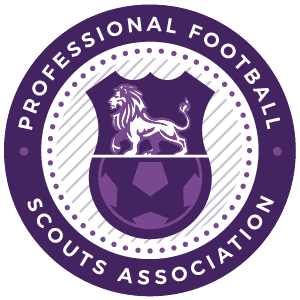 It is recommended therefore that, as part of the Modernisation Process, the Academy System must find a suitable solution that enables registered scouts to watch games. If scouts are to be allowed into the Academy Games Programme then a transparent and responsible approach will need to be adopted by the scouts and their clubs. 77 The alternative is that scouting will be forced increasingly outside any regulated process and this is ultimately not in the best interests of the clubs or the player. It is proposed that access to authorised games be granted to registered scouts provided the scouts have applied in advance to the Academy Manager to watch the game. Ensuring that an open and transparent system of registration is in place is the starting point for developing an elite environment for the player. All players U9 to U18 in the Academy System (including Trialists) must be registered before they can gain access to the services and facilities available at the Academy. Clubs are currently able to register players on a number of arrangements, be it for a trial, student registration, scholarship arrangement or professional contract. Registrations will continue to commence for players from U9 through to U18. When a player enters the Academy System it is imperative that information concerning his entitlement on signing for a Club is made available to the player and parents/guardians prior to making a commitment to sign. It is proposed that a „cooling off‟ period be introduced to allow parents/guardians an opportunity to understand the full implications of the registration form they have signed before the player‟s registration is sanctioned by the League. The introduction of a Parents‟/Guardians‟ Charter, to be managed by the Leagues, is proposed. The Parents‟/Guardians‟ Charter will provide clear and impartial information regarding the commitments of registration. Similarlywhen signing a trial form it is proposed a Parents‟ Information Guide will be introduced and managed by the Leagues. This will give an impartial outline of the trial procedure. All Academies will be expected to provide a formal induction procedure for all players once they have registered with the Academy. Players can be released or leave their club at designated points throughout the Performance Pathway. It is recommended that each Academy should formally prepare the player and his parents/guardians for this scenario. It should be a scenario that all registered players be made aware of at the induction session. 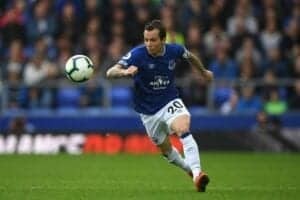 If a player is released, the club will be required to ensure that the player‟s Performance Clock is updated with clearly communicated exit information and players should be provided with the opportunity to access career guidance. The Leagues, with the clubs, will ensure that an ongoing tracking process is put in place to monitor the players‟ subsequent progress. The exception to the standard rules will relate to national recruitment of players in Category 1 Academies in the Youth Development Phase. Where a player is offered a registration at an Academy outside the hour and half time distance rules, via national recruitment, the club must honour an extended registration which guarantees the player’s engagement with the club until he has completed his secondary education at U16 from the point at which he registers with the Academy. The current Rules and Regulations provide for time/distance Rules for the recruitment of Academy players. The modernised system will re-shape these Rules. The new Rules relating to time/distance recruitment will be introduced for the start of the 2012/13 season and the Rules relating to national recruitment in the Youth Development Phase will be introduced in two stages. Category 1, 2 and 3 Academies will be permitted to recruit players in the Foundation Phase from within an hour of the principle training venue. Category 1, 2 and 3 Academies will be permitted to extend the time/distance recruitment to one and a half hours from the principle training venue in the Youth Development Phase. Category 1 Academies will be permitted to recruit nationally during the Youth Development Phase. The relaxing of the time/distance Rules will be brought into the Academy System in two stages. The first stage will be recruitment for the U15 and U16 groups which will formally begin in Season 2012/13. It is then proposed that the opportunity for national recruitment for Category 1 Academies be extended in Season 2014/15 to U12 and upwards. All Academies will be entitled to recruit nationally for the U17 group onwards. The Youth Development Plan was implemented to improve the enjoyment, fun, and development of young players. These are set rules and regulations and changes to the system of youth development. We strongly advise you to be aware of all changes set out in the Youth Development Plan but if you want to read on topics specifically related to football scouting, please refer to pages 73-90.